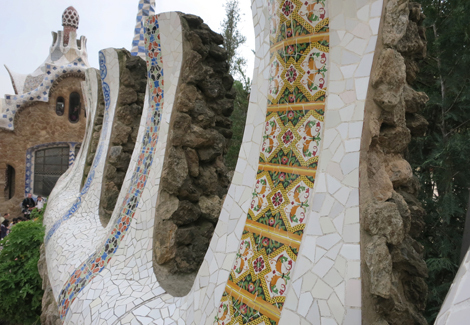 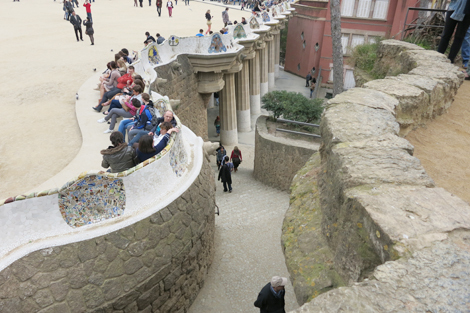 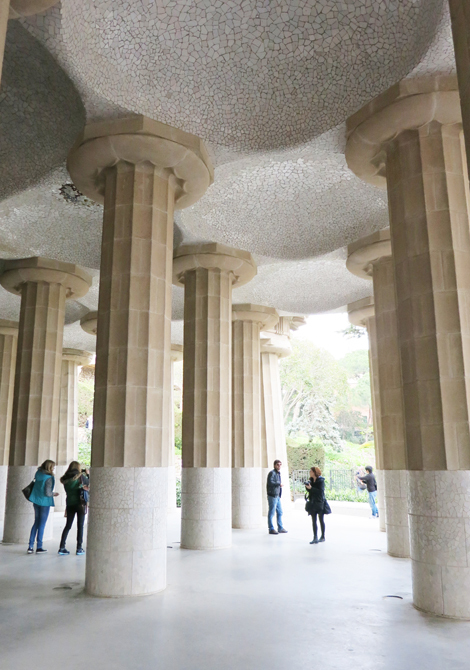 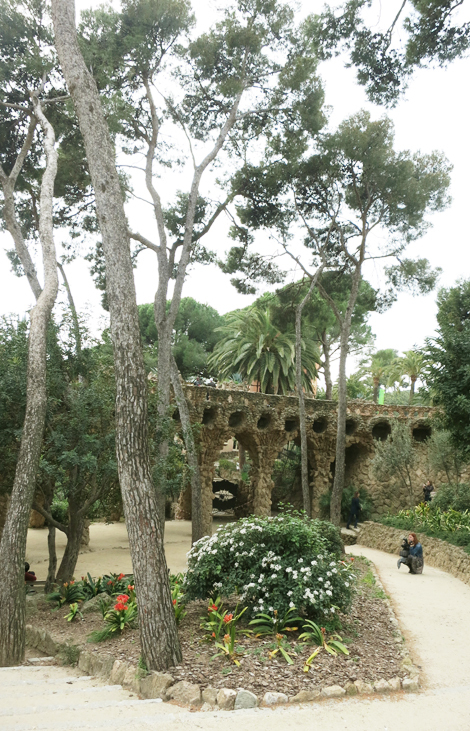 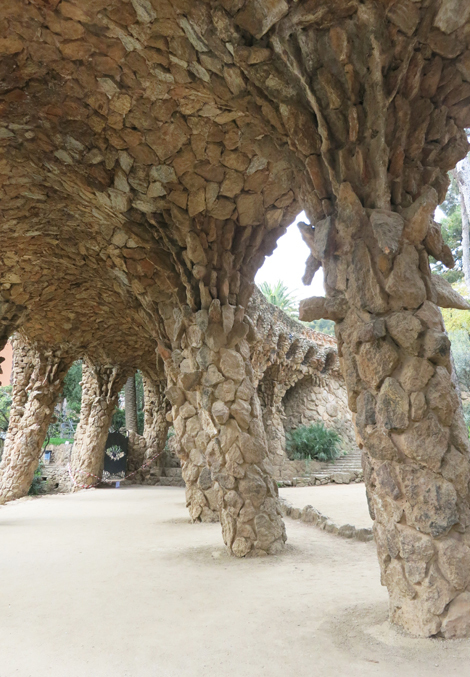 Here are some photos from Park Güell designed by Antoni Gaudí and built in the years 1900 to 1914. 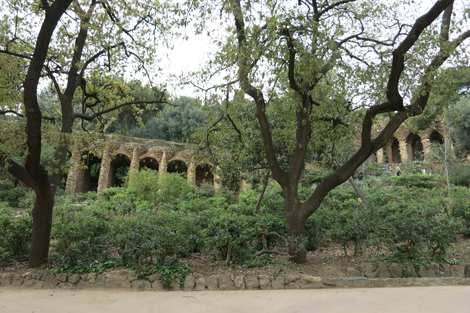 Colonnaded footpath under the roadway viaduct. 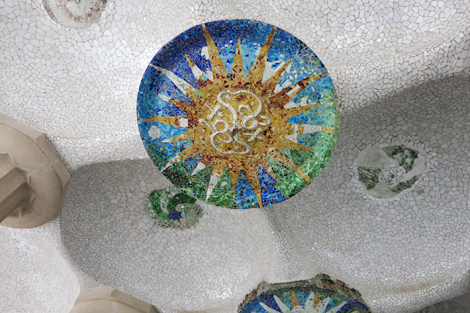 The roof supports the floor of the public square above it.